One might have to be completely lost or a true fan to know about the Arcadia Carnival Grounds, six miles north of Reisterstown in Upperco. 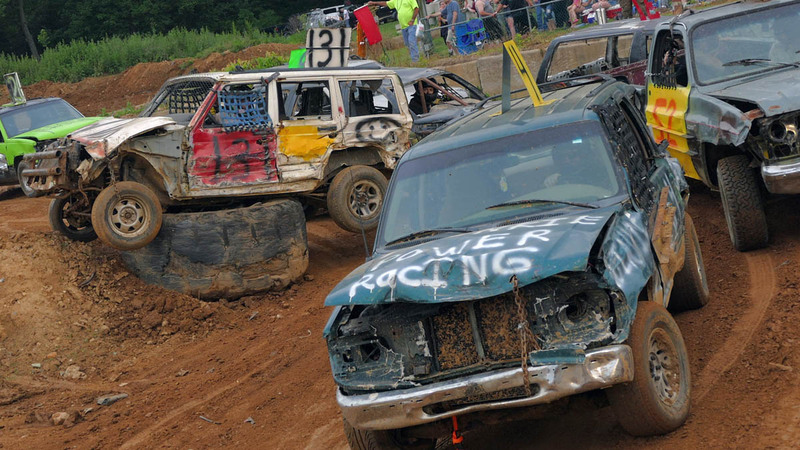 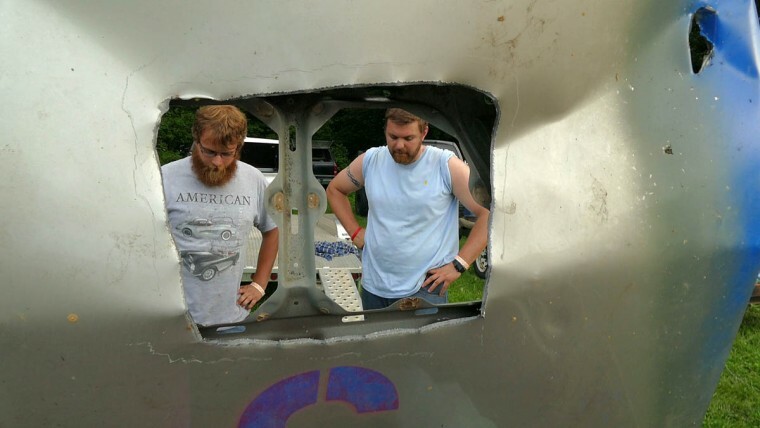 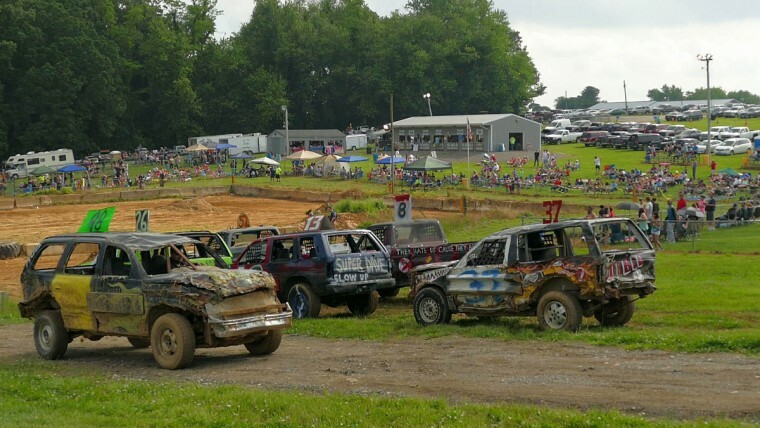 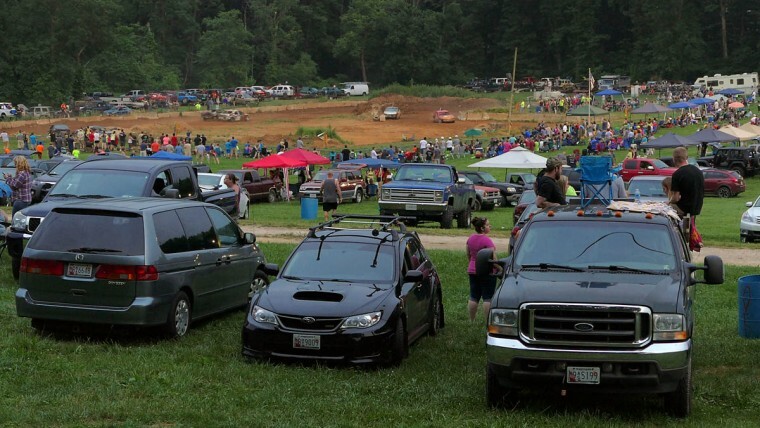 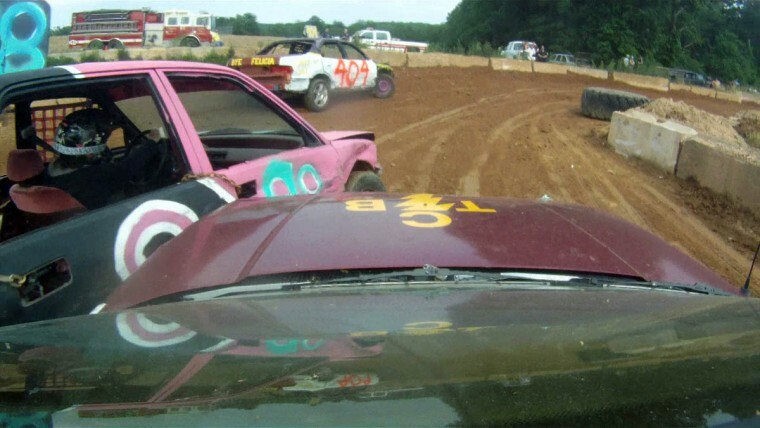 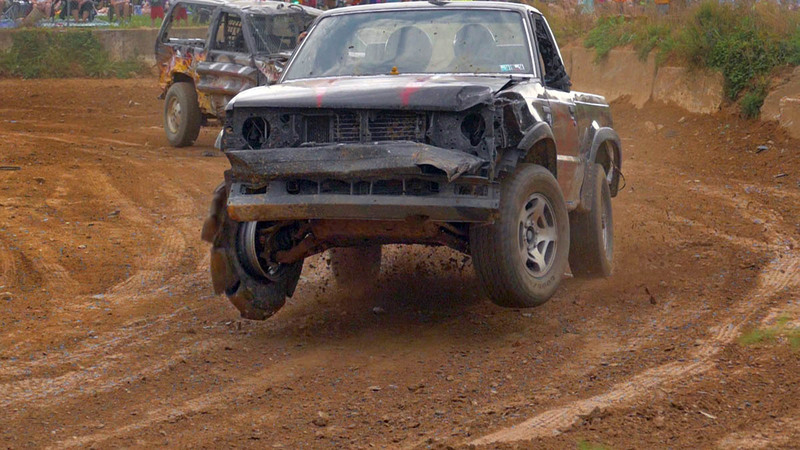 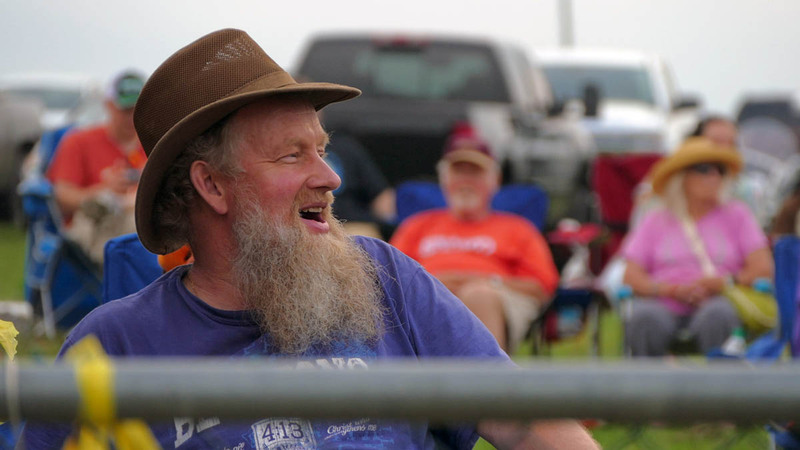 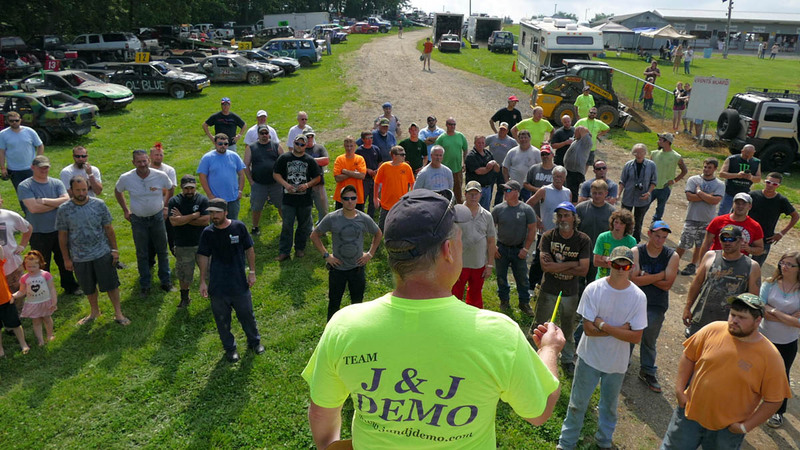 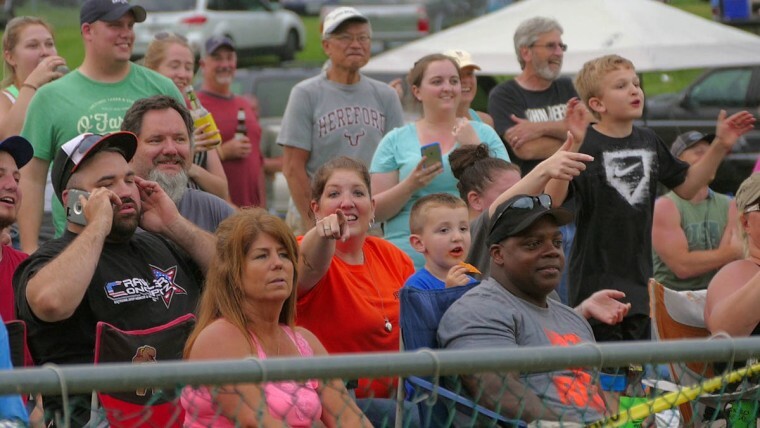 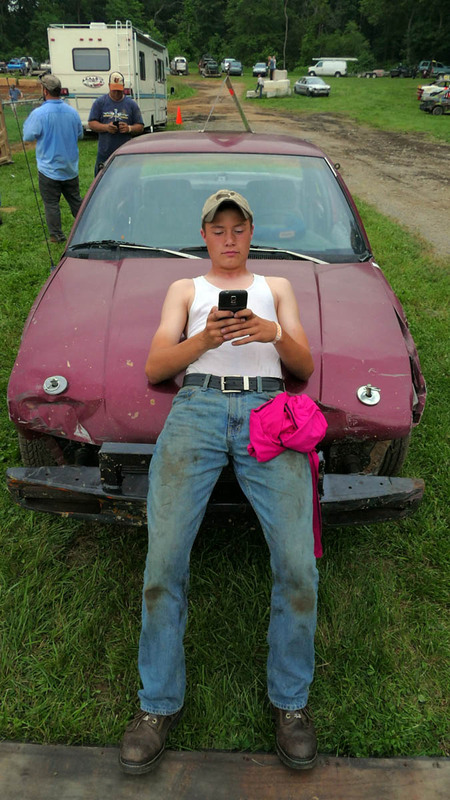 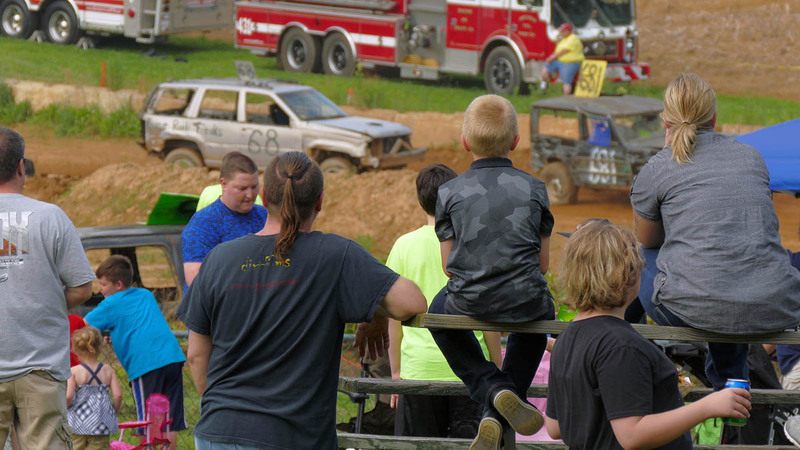 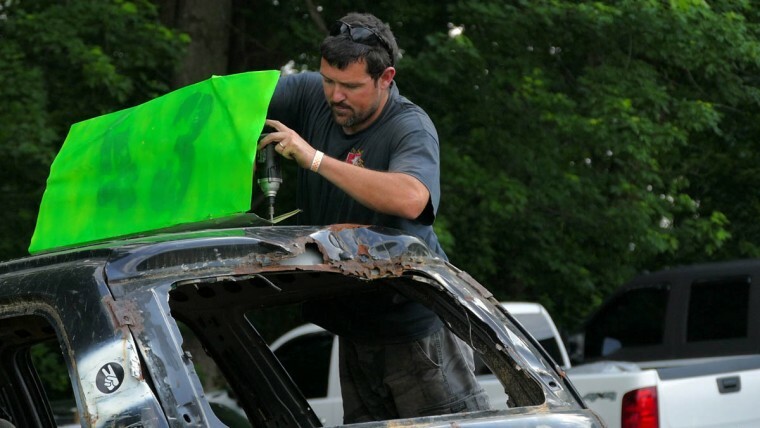 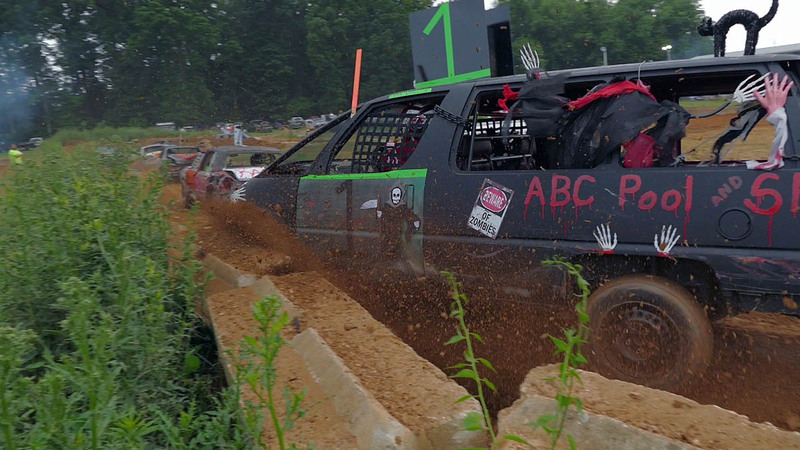 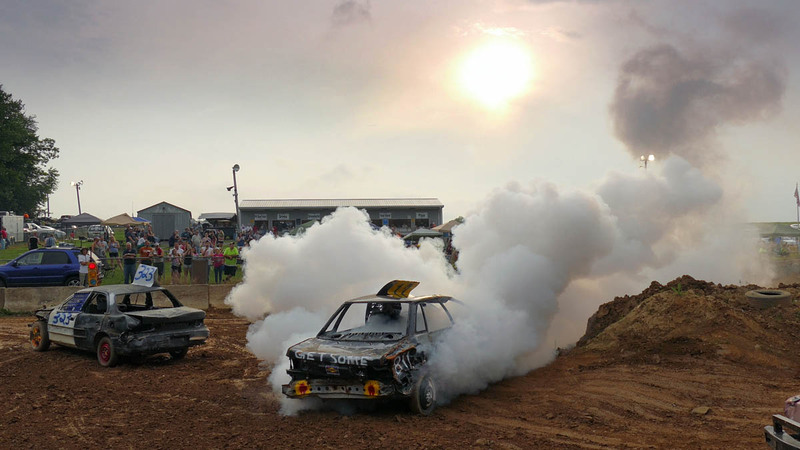 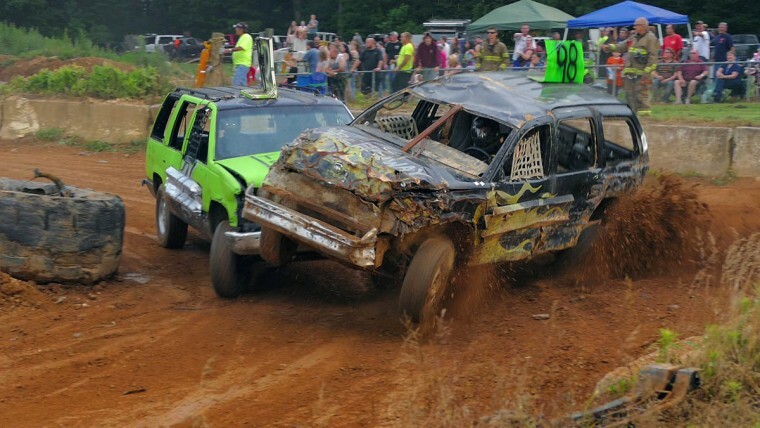 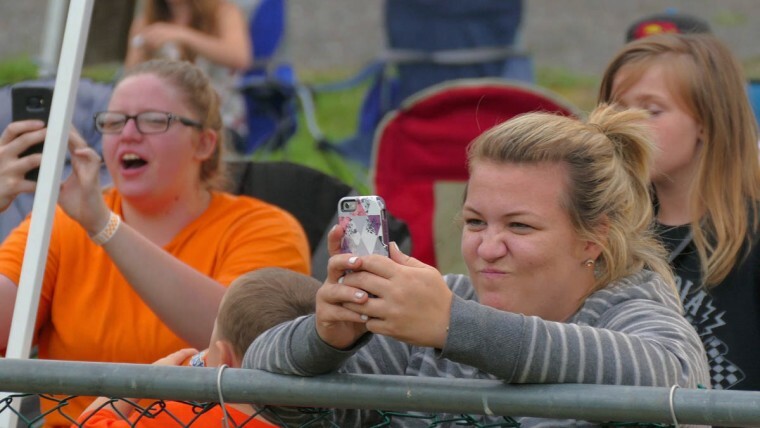 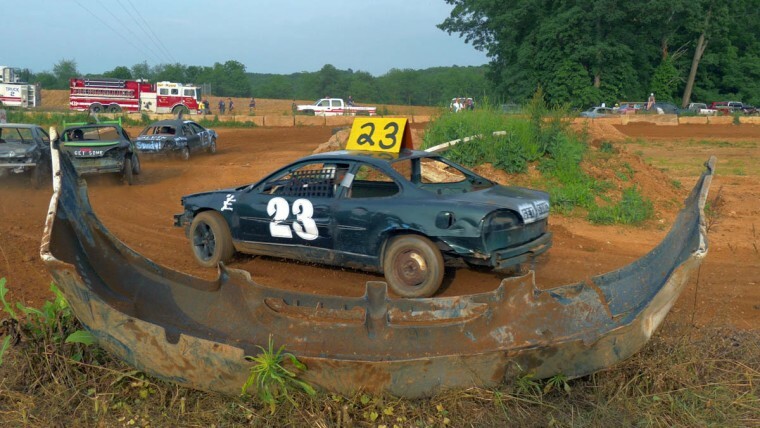 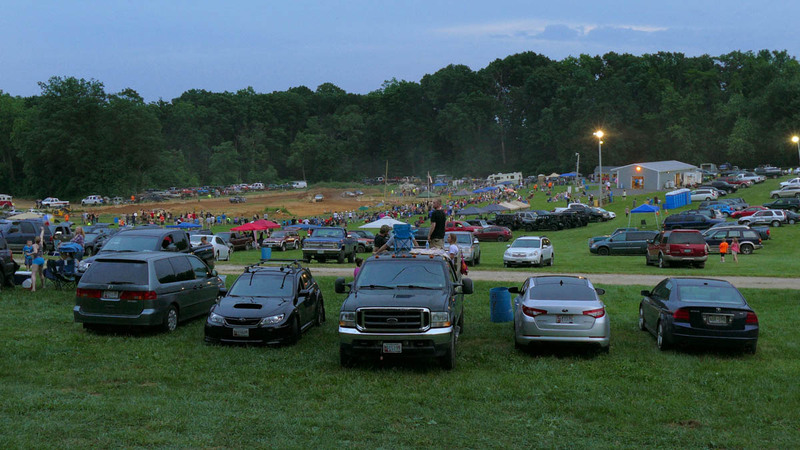 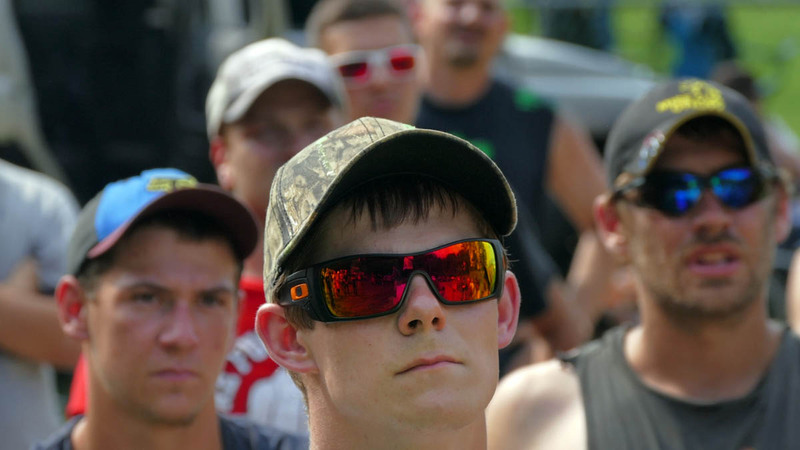 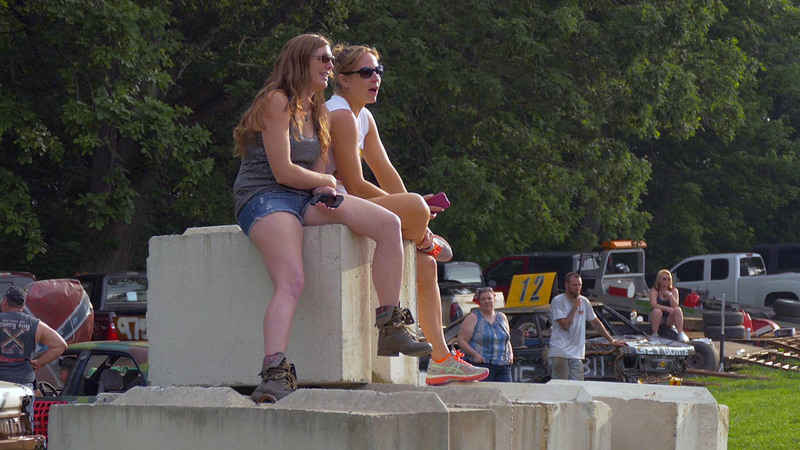 Nestled among century-old hardwood trees, the northwest Baltimore County community is normally a peaceful place, until drivers fire up their modified junkers to compete in Demo Derby Day, a series of races organized to raise funds for a local fire company. 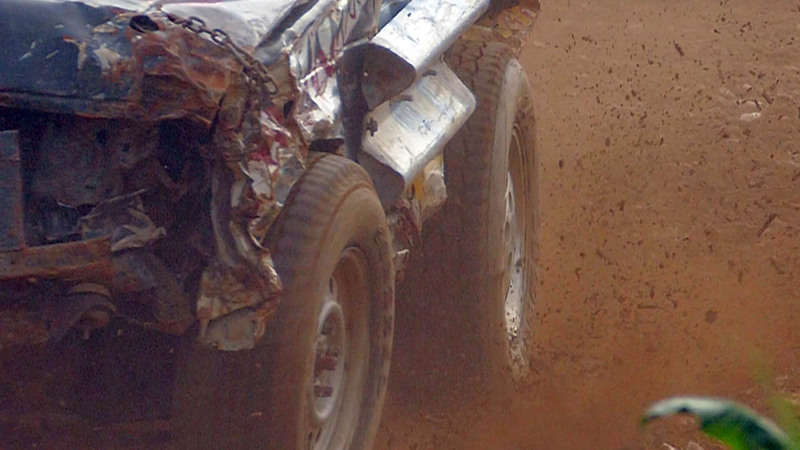 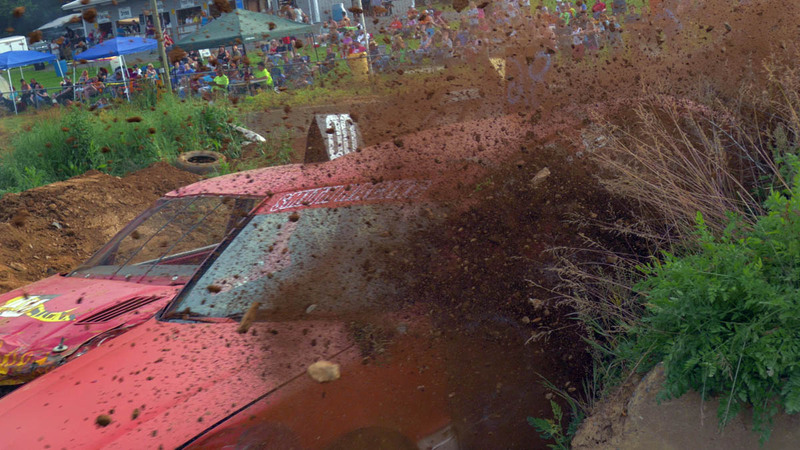 Drivers compete in short-track races throughout the afternoon, hitting the gas, dirt piles and each other as they struggle to keep their vehicles running. 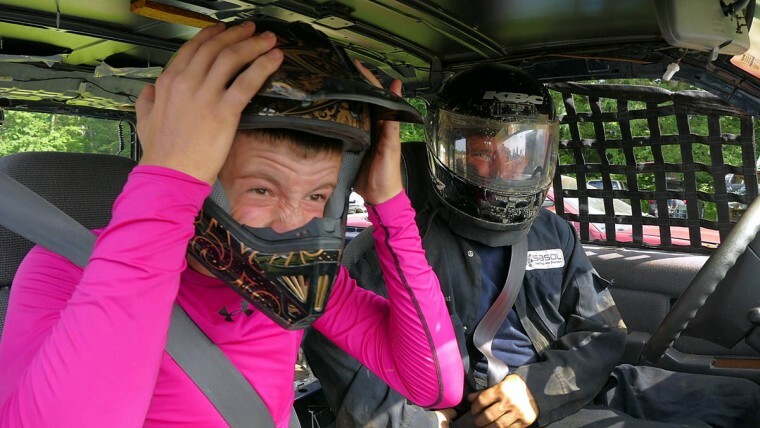 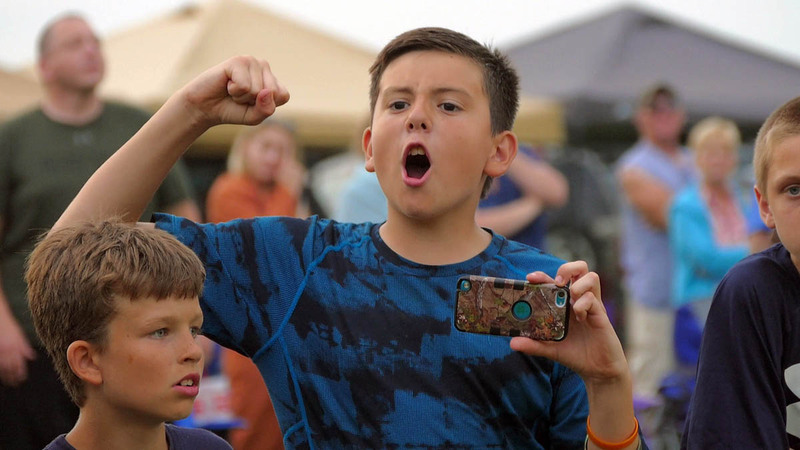 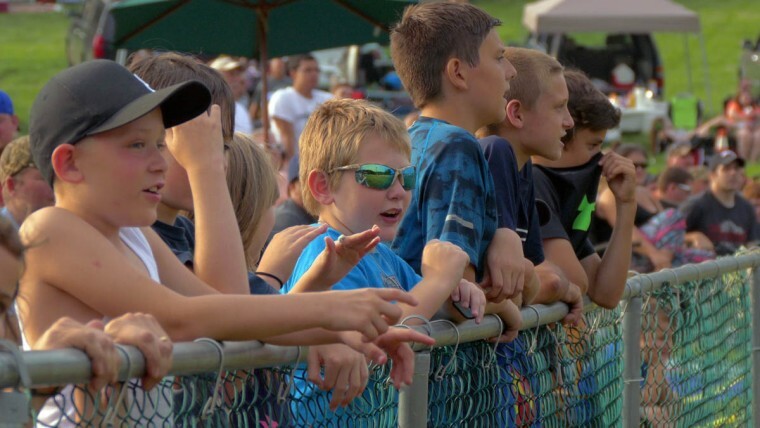 “Gooooo!” screams 12-year-old Eldersburg native Maddex Beidel, who becomes a fan of a driver who pushes his damaged vehicle to the limit as it belches smoke. 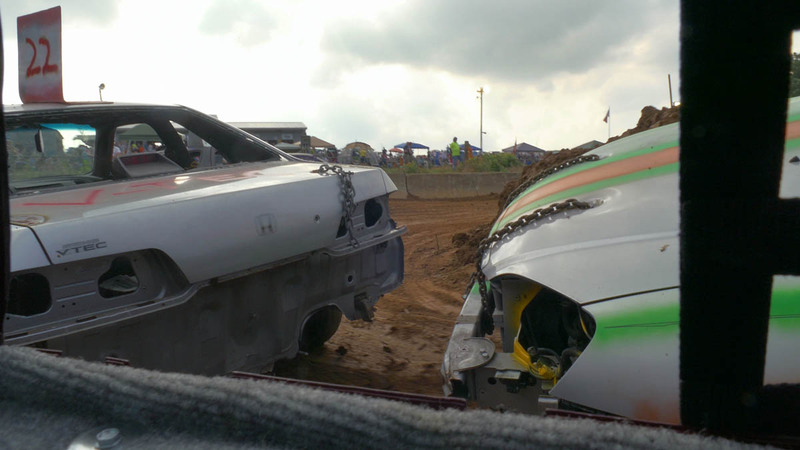 Vehicles collide with dull thuds and are T-boned into flips. 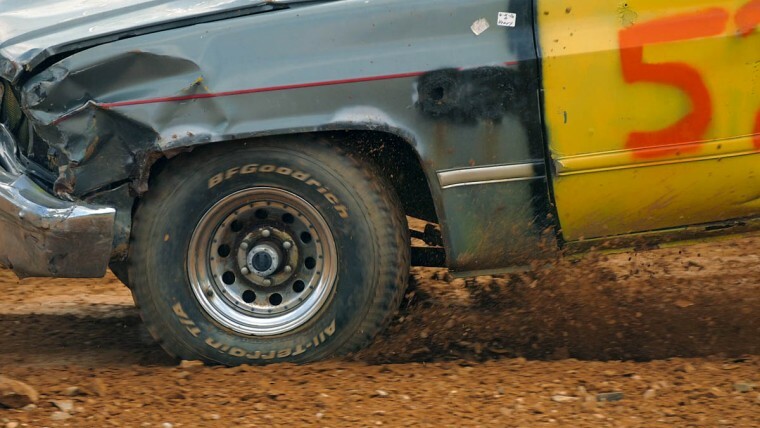 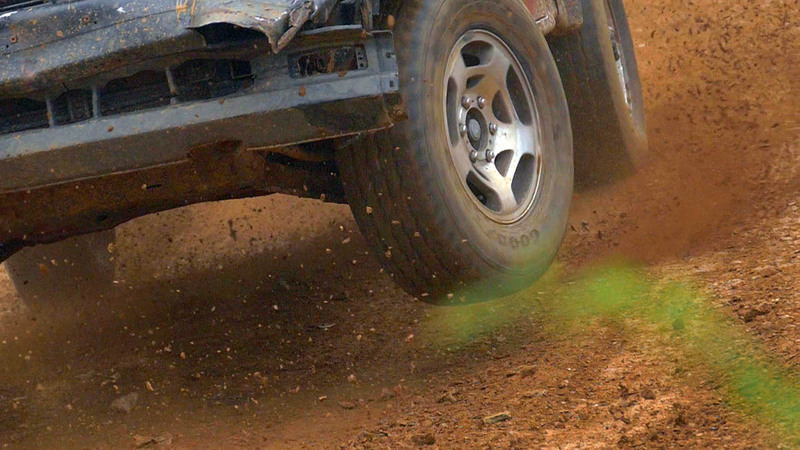 Some simply hit a curve at the wrong speed and rollover, which is one of the few reasons the competition will pause. 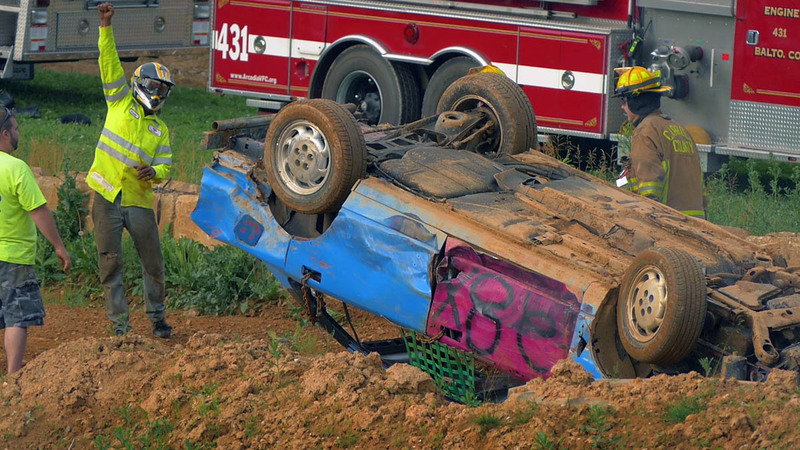 When a vehicle flips, a Bobcat scoop repositions it to its wheels in hopes that it might start again. 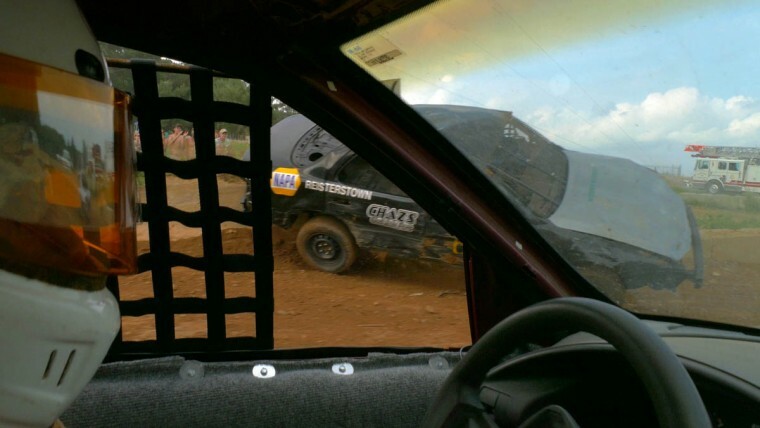 If not, the disabled car will remain as an obstacle until the race concludes. “Are you having fun, yet?” driver Johnny White, of Arbutus, asks while waiting in his demo compact car for another vehicle to be cleared. 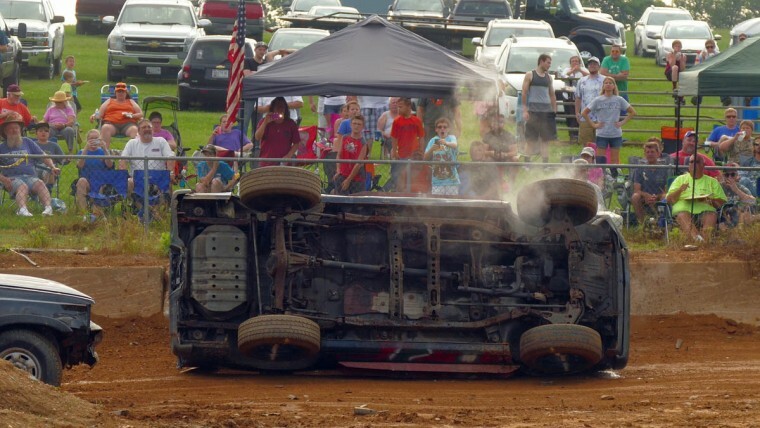 “The guy rolled over, twice! 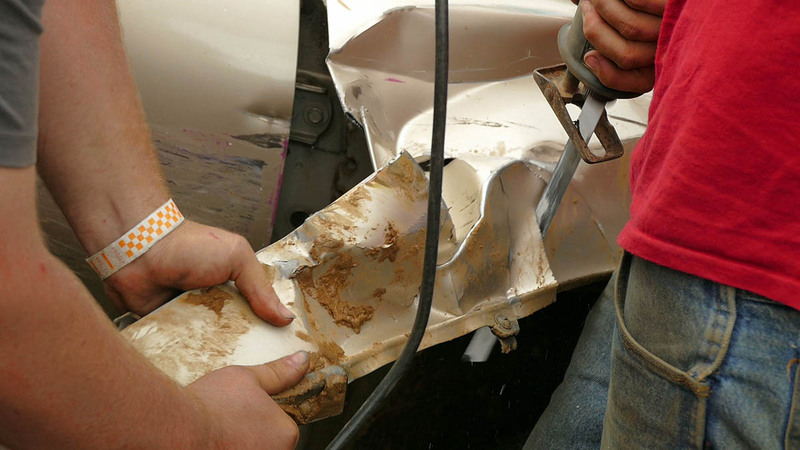 Man, that car’s messed up,” he says, looking back at the damaged vehicle. 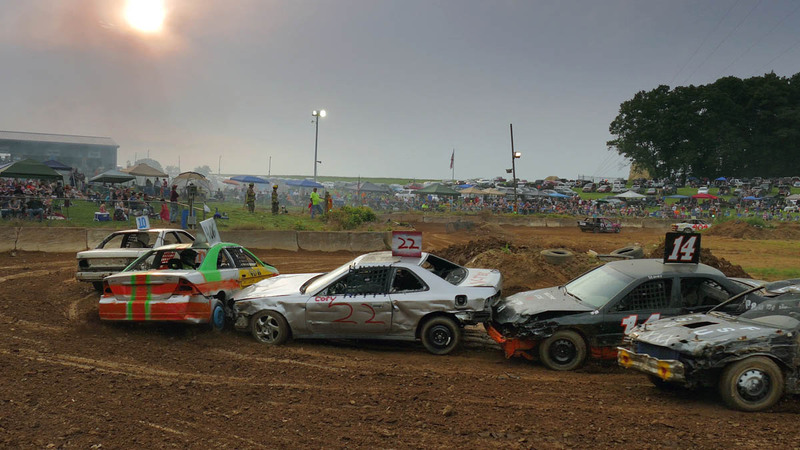 Moments later, sirens blare and track lights turn from red to green signaling White to floor the gas and hit the curves – in addition to other drivers’ cars – on his way to taking the checkered flag.